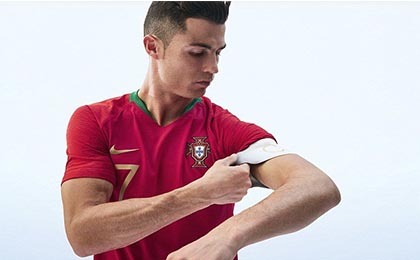 If you want to buy cheap portugal shirt for 2018-19 season, buy it here in cheap-football.com , Check our exclusive range of portugal Football Shirts / Soccer Jerseys and Kits for adults and children at amazing prices. Get the cheap portugal jersey shirts, soccer kits with wholesale price, Free Shipping Worldwide! The Portugal national football team represents Portugal in international men's association football competition since 1921. The former Brazil coach who had led the Brazil team to win the 2002 World Cup, Scolari took Portugal to the final of the 2004 European Championship, held in Portugal where they lost to Greece and their second semifinal of the World Cup in In the 2006 World Cup, Scolari left the national team after Euro 2008 and was replaced by Carlos Queiroz. He took Portugal to the second round of the 2010 World Cup where they were defeated by the champions of that edition, the Spanish National Football Team. On July 10, 2016 achieved the greatest success of its history by winning the 2016 European Championship held in France, after winning in the final 1-0 in overtime to the host team.